Thursday December 13, 2018-President Uhuru Kenyatta yesterday sent a chilling message to graft kingpins, warning that they will pay dearly for looting the public purse. 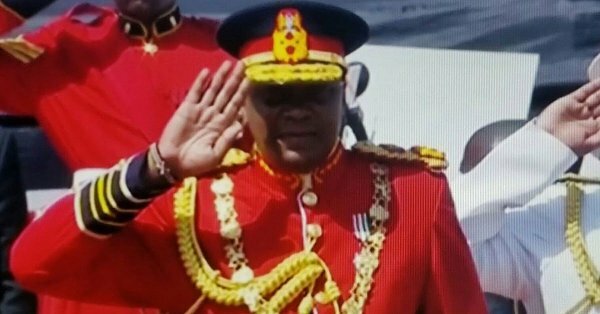 Addressing the nation during Jamhuri Day celebrations, Uhuru solemnly pledged that the corrupt will not evade justice. “We will catch up with you, and make you pay dearly for every coin stolen from Kenyans,” Uhuru promised. This comes even as Deputy President William Ruto's political allies have claimed the war is targeted at his allies to place roadblocks on his path to the Presidency in 2022. The Head of State promised that heads will roll and those who thought they were untouchable are in for a rude shock. “These individuals deserve fair trials but nothing more,” he added.